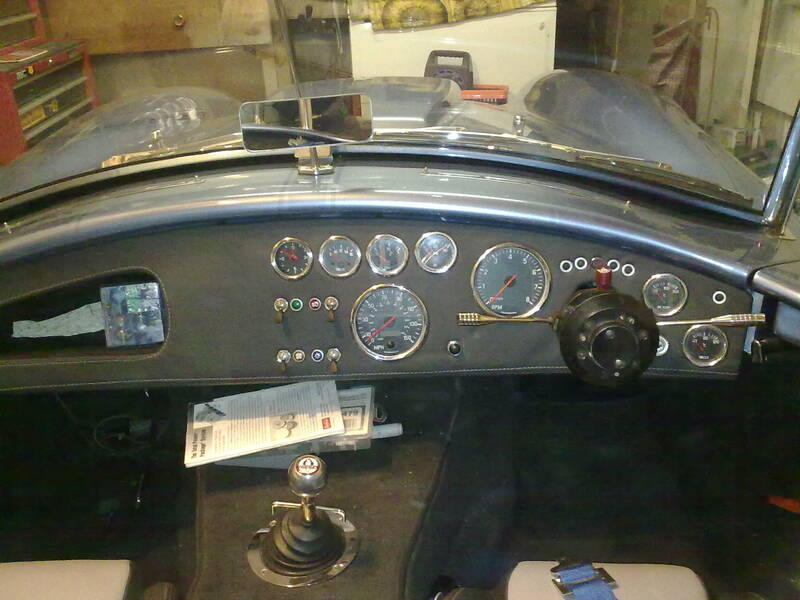 I know that there has been many posts on the subject of the dashboard layout but has anyone been able to replicate the look of an original AC Cobra dash on an AK Cobra. It looks to me as if there just is,nt the room around the steering column area to put the gauges in the correct place or could someone provide a picture and prove me wrong. If it means changing the steering column then i,m all for it. This is how I did mine, Sierra column with all the steering and ignition barrel removed not exact but the closest I could get. a lot better than the other method of putting the clocks all in the middle of the dash JMO. It looks to to me that the only difference between my dash and yours is the depth mine not being as deep. Do you have a picture of the dash in the car ?. Cant really find any at the moment except this one which is a bit messy. - take a look in Lee's gallery. he's done some great things with his AK.